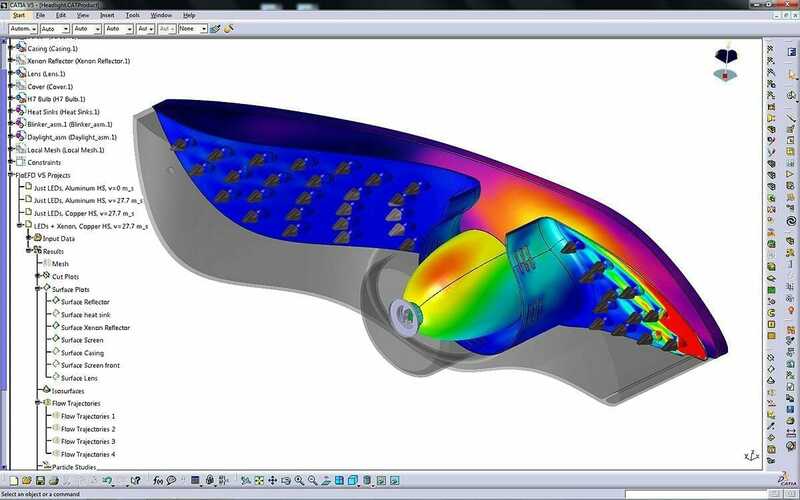 FloEFD is a full-featured 3D computational fluid dynamics analysis solution built into major MCAD systems such as Creo, CATIA V5, Siemens NX, Solid Edge and SolidWorks. It tightly integrates with Inventor. It is also the only CFD software delivering local user interfaces in Japanese, Chinese, Korean, French, German and Russian. 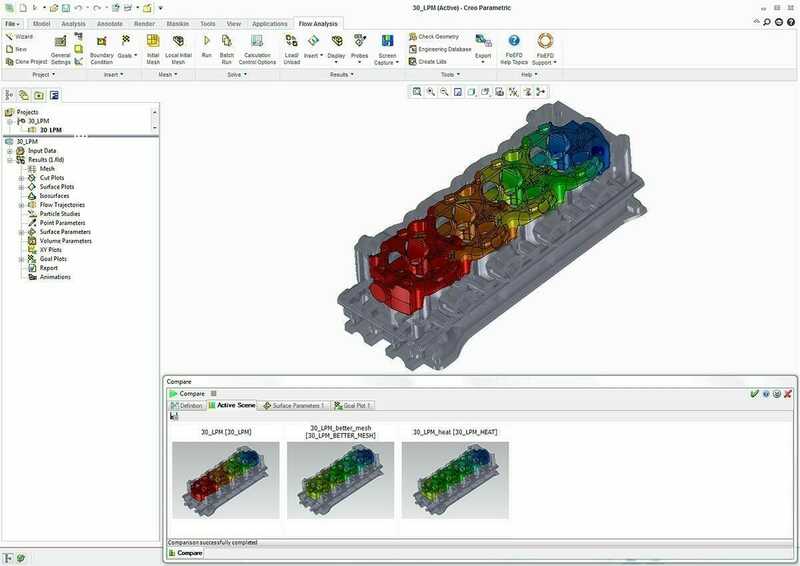 Experience streamlined workflows, faster results, and increased productivity with FloEFD. 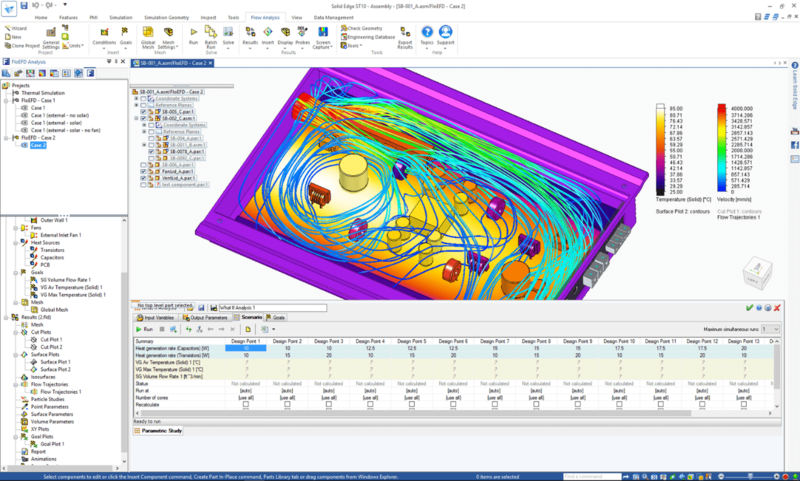 FloEFD for Solid Edge is the only powerful computational fluid dynamics (CFD) analysis tool that is fully embedded into Solid Edge. FloEFD leverages parametric Solid Edge data to perform assembly variants and geometry optimizations to reduce design cycle iterations. Comfort and safety is an important consideration when designing occupied spaces such as buildings and transportation vehicles such as cars and aircrafts. Special simulation capabilities such as comfort parameters and tracer studies for contaminant distribution simulations help to optimize environment systems. An extended database on building materials and a radiation model that allows improved solar radiation simulation is provided with the HVAC Module. 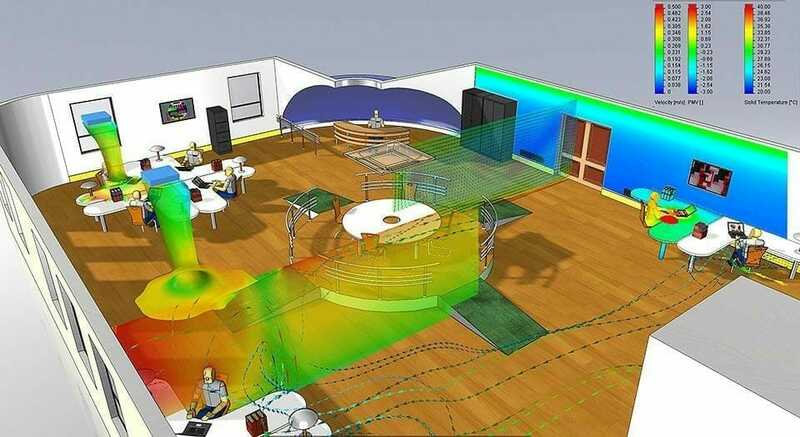 To obtain accurate results in lighting applications, special physics need to be considered. The LED Module is not only suitable for LED lighting applications but also for any other lighting applications. It contains the necessary radiation models such as Discrete Ordinate and Monte Carlo and provides capabilities to absorb radiation in transparent materials and considers refraction such as in lenses. The LED Module is the ideal module for the lighting industry and especially for LEDs, it includes a new unique LED model that provides the junction temperature and hot lumen. Import data from EDA software such as Mentor Expedition, Cadence, Zuken and Altium, as well as import materials and power maps of these PCBs, definition of thermal territories, and network assemblies (Delphi model).